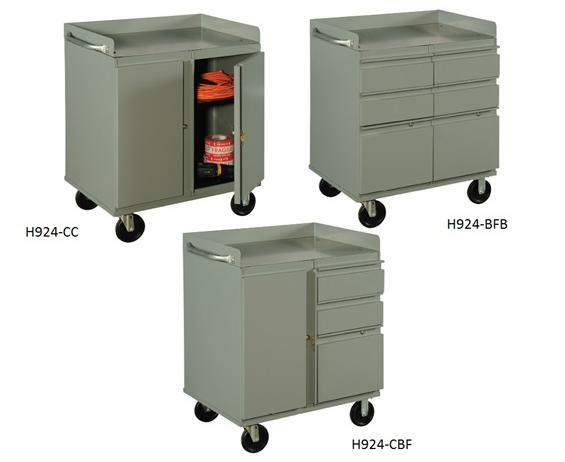 Drawer units and cabinets are heavy-duty all welded. Cabinets have one adjustable shelf. Flush mounted locks and drawer pulls. Drawers have full extension drawer slides, rated at 125 lbs. per drawer. Heavy duty 14 gauge work surface with 3" back and end stops. 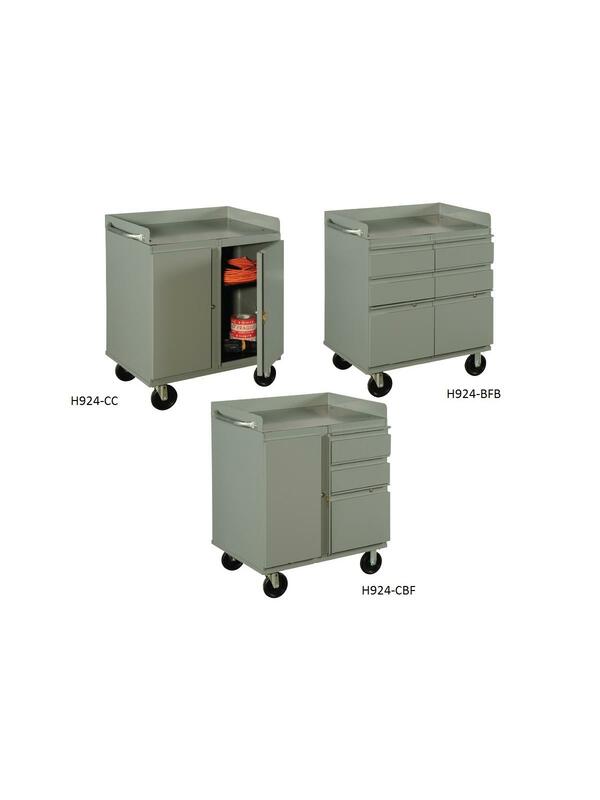 Heavy duty 5" casters (2 rigid, 2 swivel with brakes). Powder coated finish. Standard color is Gray. FOB Shipping Point.